If you’ve been among the many websites notified by Google of a manual spam action due to “unnatural links” pointing to your site, never fear, Google has created the Google Link Disavow Tool to improve your link relationships, which came under intense scrutiny in the recent Google Penguin Update. The announcement by Google’s Head of Web Spam, Matt Cutts, was made at Pubcon yesterday during a luncheon presentation at Pubcon Search and Internet Marketing Conference in Las Vegas yesterday was met with enthusiastic applause. This is good news for those who have seen an increase of incoming links, only to learn that Google has designated some, or many, as “unnatural links” in the wake of the Google Penguin update. This recent algorithm update essentially punishes websites with links that appear to be manipulative or spam, including paid links, link schemes and links that violate Google’s Quality Website Guidelines. This had created a new challenge for Webmasters and SEO’s trying to determine how to increase website authority, especially those reliant upon link-building revenue streams in their SEO businesses. Webmasters have been frustrated by the challenge to prevent others from linking to any website. Welcome or not, these links are one of the 200+ factors Google uses to calculate page rank and visibility in search engine results. The Penguin update inadvertently created opportunity for negative SEO, essentially anyone could reduce one aspect of website’s overall search quality in the eyes of Google by directing unrelated links to specific (most often competitor) websites. Matt Cutts also references mutliple links created by low-quality articles, blog posts, etc., which will be of particular interest to those who pay for blog posts and articles to link t their website. Until now, it has been difficult, if not impossible, to prevent unwanted links from impacting a website’s SEO. This tool enables webmasters and SEO professionals to notify Google of links they wish not to be considered in search rank calculation. As with anything Google enables webmasters to manage, they will take your link disavow requests as a “very strong suggestion”, but does not guarantee consideration. A thorough link audit is recommended prior to submitting links to the tool, or a reconsideration request in the wake of recent black-listing or penalty in search. 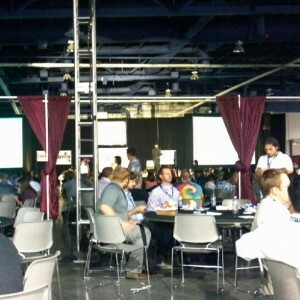 The process will take a couple of weeks for Google to process according to Matt Cutts. In the case of reconsideration requests, submission of disavowed links should be included. It may be time to evaluate and take action with this new management tool from Google. 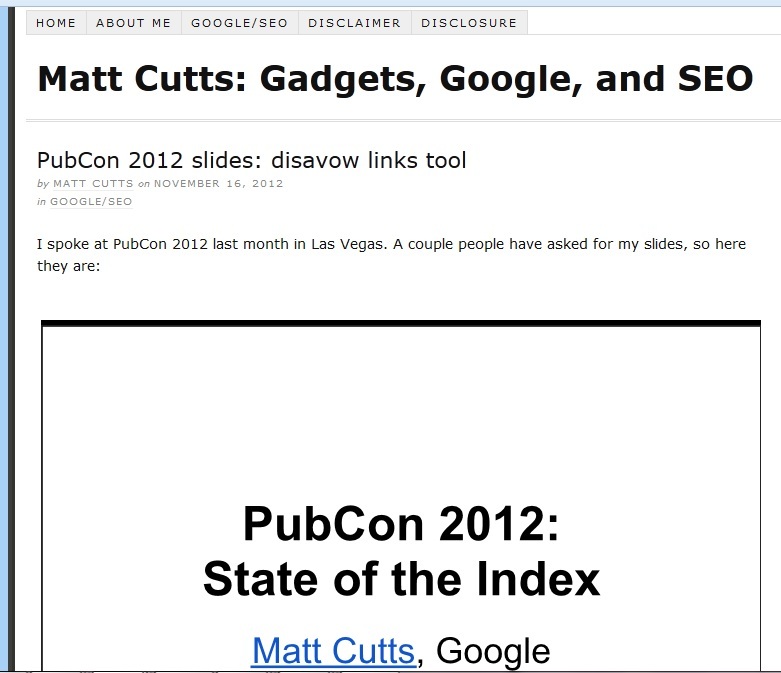 UPDATE: Matt Cutts has since made the slides from his presentation available. Click the image below to visit his blog and view the slide deck.